Imagine a golf trail that stretches out along the coast of the Carolinas, offering some of the South's most award-winning golf courses. The Carolinas' newest golf trail straddles the border of North and South Carolina with 360 holes of pure challenge and fun. Imagine a golf trail that stretches out along the coast of the Carolinas, offering some of the South's most award-winning golf courses. The Carolinas' newest golf trail straddles the border of North and South Carolina with 360 holes of pure challenge and fun. If you're looking to be challenged by the best, this is where you'll find them. 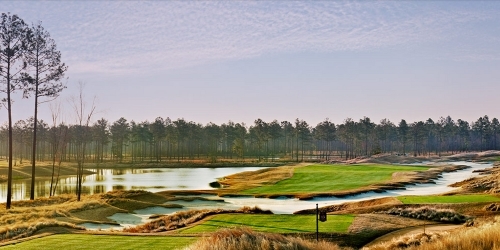 Over the years, award after award has been heaped upon the Trail's courses, from "Best New Course in America" to four-star ratings in "Places To Play".. Two of Golf Magazine's "Top 20 Courses In South Carolina" are part of the new Trail, as are two of Golf Magazine's "Top 20 Courses In North Carolina". And Golf Digest's list of "America's Top 100 Greatest Public Courses" includes three of the Trail's courses. Organized in summer 2008, the Brunswick Isles Golf Trail combines great golf courses with nearby accommodations to create a golf experience unlike any other on the East Coast. The Trail stretches 60 miles from Leland, N.C. to North Myrtle Beach, S.C., winding through the unspoiled coastal area known as the Brunswick Islands. Along the Trail, the courses are in such close proximity that golfers can easily play two or more different courses within a day. In fact, you can travel the Trail from end to end in just a little over 60 minutes. 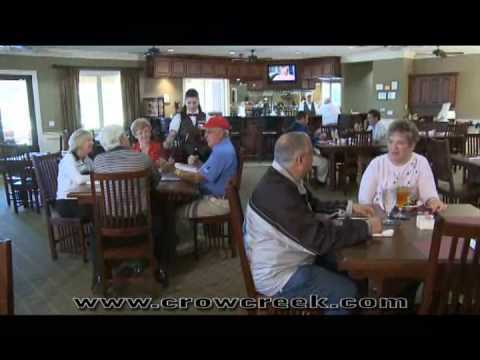 Watch the Crow Creek Golf Club Video.